Rob StainesRob Staines, British Airways flight attendant. There are plenty of articles and blog posts out there about what to bring on a long flight if you’re a woman – from shawls, to makeup, to hair ties. 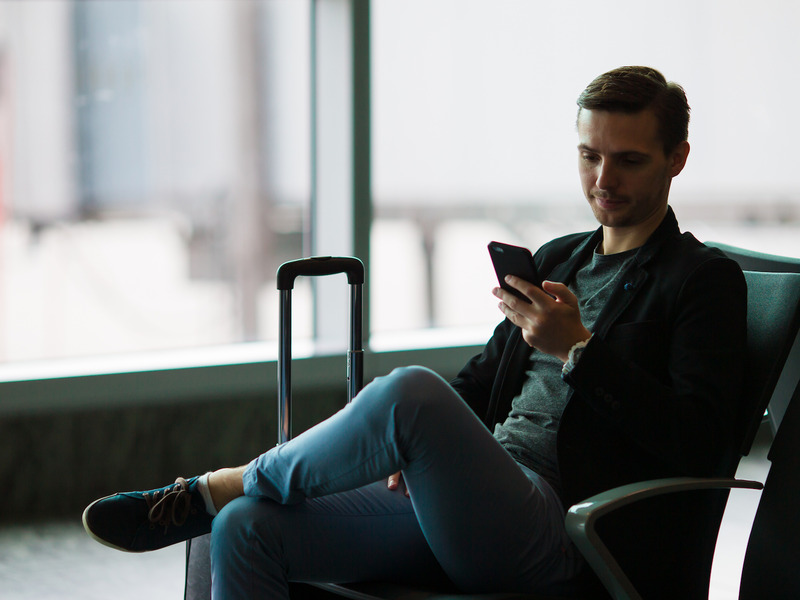 As a result, guys are left pretty much in the dark when it comes lengthy flights, which can be a nightmare for your body if you’re not prepared. 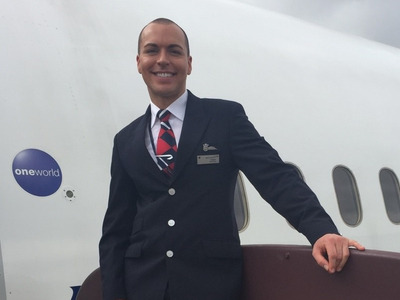 Business Insider spoke to British Airways flight attendant Rob Staines to find out where guys are going wrong and how they should best ready themselves for the trials and tribulations that air travel poses. He came up with four main themes, ranging from moisturization to correct clothing. One of the biggest issues with air travel is how much it dries your skin out. This is because the air in the pressurised cabins of planes is often less than 20% humidity, which is comparable to a desert, while humidity in the home is normally over 30%, according to the World Health Organisation. It’s best to moisturize before your flight, then reapply during and after as necessary. While it might not be a staple of every guy’s washbag, Staines also recommends using a facial mist to keep things fresh. How dry your skin is can actually depend on the aircraft you’re in, Staines added, as some have different cabin pressures to others. “We have more modern aircraft in our fleet like the Dreamliner, which do make you feel fantastic when you get off because the cabin pressurisation is lower and they don’t have as much of a drying effect on the skin. However, baby wipes are often so gentle that they don’t give your face a proper clean, and, as Staines notes, their thin, soft texture means they can often get caught in your stubble and leave fluff. “I always use face wipes that are specifically targeted towards men,” Staines said. “Men’s ones tend to glide over your skin much more easily. Shutterstock.comDressing up for a flight will get you nowhere these days. While you may have read a thousand times that you’re more likely to get an upgrade while wearing your best suit, Staines said attitudes are changing. “I think that probably was the case years ago,” he said, “but now people are more interested in comfort. “The sole is cushioned too,” Staines said, “so they’re really comfortable, and they’re so lightweight that they just kind of fold up into nothing. Staines likes to pair his sneakers with a Uniqlo tracksuit, because it’s comfortable, stylish, and has zip pockets for all his valuables. 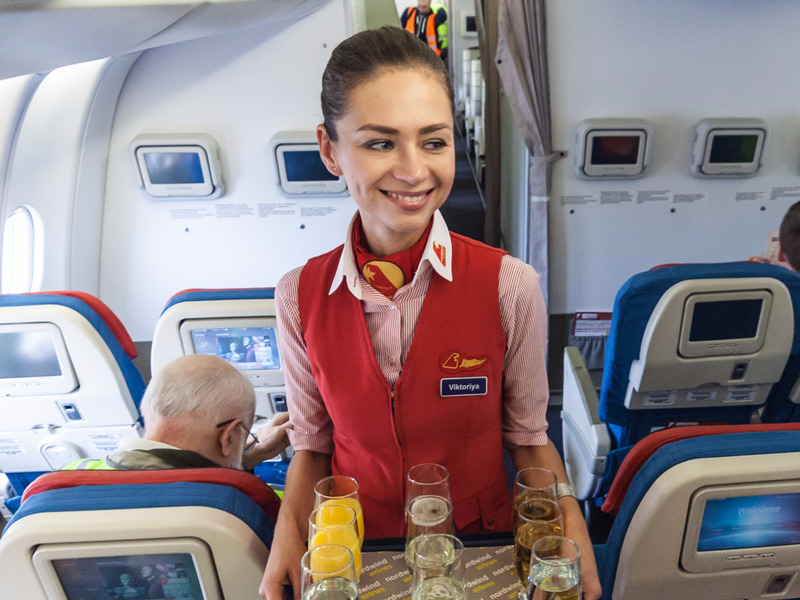 While it can be tempting to go straight for the booze (especially if it’s free) to celebrate the start of your vacation, drinking alcohol will do you no favours onboard an aircraft. Ranglen/ShutterstockIt might be better to skip the Champagne. Lucas Paluch of the Lean Traveller Guide previously told INSIDER: “During the flight, you lose a lot of water from your body due to dry, air-conditioned air in the plane. What’s more, the alcohol may have more of an effect on you in the air than it would on the ground. “When on a plane, the barometric pressure in the cabin of a plane is lower than it normally is,” Dr. Clare Morrison, from online doctor MedExpress, told HuffPost UK. “Chia seeds are really good because they’re packed with Omega 3,” he said.